As part of last year's $7.9 billion preliminary settlement agreement in the class action against Visa and MasterCard, the card networks enacted a rule change allowing merchants to surcharge customers up to 4%. Effective Jan. 27, 2013, the optional surcharge is permitted on credit card transactions in an effort to defuse merchant allegations that the card brands were violating the Sherman Antitrust Act by unlawfully fixing interchange fees and rules. The interchange fee structure of a four-party payment system is predicated on William F. Baxter's seminal piece from the 1983 Journal of Law and Economics. In this study, Baxter laid out the elements and cost structures for each of the participants in a four-party payment transaction – cardholder, issuer, acquirer, and merchant. Essentially stating that cost flowed principally to the issuer despite interest rates and annual card fees, Baxter economically justified the merchant (or acquiring) fee that would flow back to issuers now known as the IRF, issuer reimbursement fee. Nearly 40% of Visa and MasterCard merchants are located in the 10 states that ban surcharging including California, New York, Florida, Texas and Massachusetts. Despite this and the proposed surcharging bans recently introduced in more than seven other state legislatures, it is easy to understand why some might see this settlement as a triumphant leveling of the competitive playing field. "The biggest winners from the settlement are ordinary consumers," according to Todd Zywicki of George Mason University’s Mercatus Center. "Although some of the settlement's terms are potentially prone to abuse by retailers, most notably their new right to impose surcharges on those who use credit cards, it does affirm the core principle that interchange fees should be set by free markets and consumer choice rather than by judges or politicians." Seemingly unaware of the historical reasons for creating the no-surcharge rule in the first place, Zywicki inverts the issue. Consumers are not the winners as the fee was always embedded into pricing and unfortunately this settlement does nothing to affirm free-market principles. Mandating no surcharges for the merchant participants of their early fledgling networks allowed the card brands to make them an all-or-nothing offer to entice novice cardholders. Had surcharging been permitted from the beginning, it would have been difficult to persuade cardholders, and therefore merchants, because consumers would be incentivized to stick with cash and check payments. It's more likely that the card brands didn't want to permit merchants to offer discounts for cash transactions. Are they preventing card surcharges or are they preventing cash discounts? Is the glass half-full or is it half-empty? Maybe a “surcharge” is more palatable for consumers now if it is described as a discount for cash. Sometime during the 1990s, when critical mass was reached and saturation occurred in the credit card payment networks, the tables were turned. Merchants no longer had to be persuaded to accept credit cards as a form of payment. At least in the U.S. and other developed payment markets, merchants realized the benefits of catering to consumer preference for cards and they didn't want to suffer by not offering that choice. The card brands’ acceptance strategy had come full circle, but the no-surcharging rule had not caught up. With the all-or-nothing choice of "accept all payments at the same price or no card processing at all," once the "nothing" choice started to look relatively attractive, the card payment networks would be forced to open up. That's what alternative payment types such as Bitcoin start to permit. The card-branded networks would begin to see a disadvantage in prohibiting surcharging because all alternative forms of payment, including cash, must cross-subsidize the cards. This allows a non-card-accepting merchant to maintain a significant price advantage over a card-accepting competitor. So market forces arguably would have eventually pushed Visa and MasterCard to permit surcharges. But the settlement, induced by class action litigation, is worse than superfluous. It is an unwarranted and unjustified encroachment into the practices of a private payment company. Just think of the lost capital and lost productivity of a seven-year, multi-attorney billing festival. Who do you think pays for that? Furthermore, this bit of central planning via the judicial system will remove the competitive advantage that alternative payment-only merchants like Bitcoin Store have now by forcibly removing the cross-subsidization that other merchants would have had to follow in accepting bitcoin or alternatives. If the natural market penalty for cross-subsidization is removed, then alternative payment-only merchants must begin to accept all payment types or lose business. In a free market, payment networks would compete under their own network rules, not the government's or regulators’ rules. Sadly, the perceived pricing power referred to in the antitrust case stems less from alleged collusion among Visa and MasterCard’s member banks than from the multitude of state-granted privileges they enjoy that disadvantage new entrants (such as extraordinary bailouts for favored institutions, the notion of too-big-to-fail, generous deposit insurance, etc.). The National Association of Convenience Stores, one of the plaintiffs in the case, rejected the proposed settlement for not going far enough, saying that the settlement failed "to introduce competition and transparency into a clearly broken market." While the merchant lobbyist’s reasons for believing this may not adhere to free market principles, it accidentally happens to be the correct legal and economic posture in this case because the settlement is anticompetitive. The answer, however, is not to coerce transparency and break the market even further. Free market competition occurs at the macro payment system level – not within a given branded system by forcibly tinkering with the internal fees and surcharges and then declaring a win for consumers. No one is coerced into using a Visa or MasterCard product and merchants are not coerced into accepting plastic payments. The problem of a payments oligopoly would solve itself because new market entrants would discover ways to bypass the entrenched networks entirely. Can a $10,000 smartphone buy happiness? Probably not. But it can buy privacy and state-of-the-art encrypted communications. Luxury UK phone maker Vertu has partnered with secure communication provider Silent Circle for end-to-end voice and text encryption worthy of its designer product. The Rolls-Royce of phones meets the gold standard of mobile encryption. Priced at $10,500 (7,900€) and sold through boutiques in 60 countries, this is the phone you never want to leave in a taxi cab accidentally. For those of us annoyed with friends and colleagues repeatedly showing off their new iPhone 5 or BlackBerry 10, Vertu offers the hand-crafted Ti model with 3.7-inch sapphire crystal screen and titanium case. More comparable to classy wristwatches and fine designer handbags, there's also Signature and Constellation models at even higher prices. Now, each Android-based Vertu Ti will come already provisioned with Silent Circle out of the box. As the preferred private communications service partner to Vertu, each new Vertu Ti phone comes with a complimentary 12-month subscription to Silent Circle. Also in a clever viral move to spread adoption, each new subscriber will get five 30-day companion licenses which will operate on any platform and allow the customer to build their own circle of secure communications. The famous and tailored Vertu Concierge service that sits at the heart of every Vertu phone experience was also specifically customized to support Silent Circle for a seamless blend of performance and customer service. These proprietary concierge apps offer round-the-clock live support and dedicated specialists available through text, voice and email. More attentive to your needs than Siri and quickly accessed via the custom ruby key on the phone, Vertu Concierge caters to the demanding needs of the Vertu customer with a team of "lifestyle managers" covering all major time zones such as London, Paris, Milan, New York, Shanghai, Dubai, Moscow Hong Kong, and San Francisco. Already in the circle are high-profile government departments, intelligence agencies, exiled leaders, and former heads of state. Thanks to the Vertu partnership, Silent Circle can now add Russian oligarchs, Persian Gulf oil sheiks, and Hollywood celebrities to that list. Founded in 1998, Vertu has approximately 1,000 employees and 470 international points of sale. Last year, the company's sales approached 300 million euros, up from 266 million euros in 2011, and they have sold 300,000 devices over the last 10 years. Silent Circle CEO Mike Janke, who will be speaking at next week's RSA Conference in San Francisco, explains how this unique partnership happened: "Over the past three years, Vertu's #1 request from high-net-worth customers has been secure communications. And after they spent 18 months visiting various companies and testing secure chat, phone and text products, they chose Silent Circle." Analyzing the specific terms of the deal -- a bulk purchase of 35,000 one-year subscriptions without exclusivity conditions -- reveals why it is so critical for startups like Silent Circle to shy away from exclusive and usually lucrative partnership offers. Non-exclusivity may leave some money on the table in the short term, but the 32-person Silent Circle team doesn't seem to mind. At this early point in the secure communications game, a single exclusive deal would nearly equate to an acquisition. And with most of the industry's leading players knocking on their door, Janke says "it is very tempting to sign an exclusive arrangement with a top phone manufacturer or a leading mobile network." However, Silent Circle remains solidly focused on the larger global market and that means non-exclusive coverage on every platform, everywhere. Meanwhile, back at the bat cave, Silent Circle's latest Silent Text offering for Apple's iOS finally received approval yesterday after an arduous 21-day App Store process. I've always had this nagging feeling about Coinbase’s exchange service and I just couldn't quite put my finger on it. 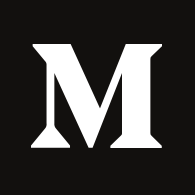 The San Francisco startup receives praise for its simple method of acquiring and selling bitcoins, a digital currency, via one’s U.S. bank account. In fact, Coinbase, founded in June 2012, is now selling over $1 million worth of bitcoins per month. The firm apparently ran out of inventory last week. Then, it hit me. This is just like buying bitcoins from your bank – or from the Internal Revenue Service. If a bank offered a bitcoin purchasing option from its website, it would look like Coinbase. If Coinbase cut them in on the commission, it could probably white-label the service directly to banks. Nothing wrong with that, but it means Coinbase fails to leverage the unique financial privacy aspects of the Bitcoin network. I do not fault founder and CEO Brian Armstrong, because he’s launched a much-needed Bitcoin service at a critical point in the digital money's evolution. Here's the rub: to address the fraud and compliance issues around the irreversible sale of a privacy product, Coinbase has simply removed the privacy. Currently, Coinbase provides its exchange service in the U.S. only and it offers two methods for linking a bank account, “instant account verification” and “challenge deposit verification.” For those who are uncomfortable providing their private online banking usernames and passwords to Coinbase, the alternate method offers a typical challenge deposit process similar to linking a bank account to PayPal. (In challenge verification, a company makes two small deposits to the user’s account, and the user proves she is the accountholder by entering those amounts into the company’s site.) Coinbase does not allow for other less-intrusive payment methods, such as a cash deposit at a bank branch, via an intermediary like TrustCash, or cash bill payment at a retail location, through a network like ZipZap. Coinbase is not licensed as a money transmitter in any state, nor is it registered as a money services business with the U.S. Treasury’s Financial Crimes Enforcement Network. I applaud the company for dispensing with these formalities because, since it is only selling a cryptographic token and not a financial instrument, such registration and licensure is not legally required. The company says it has an anti-money laundering program, but it was not listed on their web site, and again, it is not a legal requirement for this business. Besides, the majority of what constitutes an AML program is already covered via Coinbase's strong relationship to the user's financial institution, with one of the exceptions being the identification of aggregated transactions from multiple bank accounts. But even this would be easy enough for Coinbase to determine based on the additional user data collected. Furthermore, there is no indication that Coinbase deletes the internal bitcoin wallet transfer logs or the associated bitcoin address logs. With more observable data points, the privacy of all bitcoin transactions can become cumulatively degraded. By criticizing the collection of personal information for the purchase of bitcoin, a harmless cryptography product, I am not simply "letting the perfect being the enemy of the good." Caution is strongly advised when dealing with Coinbase. The potential exists for enhanced surveillance and network traffic analysis enabled by the supreme identity management that comes built-in with Coinbase. For instance, it would not be advisable to play Bitcoin casino games or poker with Coinbase-acquired bitcoins that weren't properly "mixed." Of course, not everyone requires privacy in their transactions, so Coinbase may suit some users’ purposes just fine. However, Satoshi Nakamoto, the pseudonymous creator of Bitcoin, didn't sit down and code the decentralized protocol because he was upset about banking efficiency and trusted third parties. He wrote Bitcoin as a value transfer system that could survive hostile attacks. When Armstrong says, "our goal is to make [B]itcoin easier to use, and (longer term) to help bring fast, cheap, international payments to the whole world" and "Bitcoin represents a fundamental leap forward in payment technology and it’s going to bring massive efficiencies to many areas of commerce," he's playing only to the low-fee, frictionless attributes of Bitcoin. He doesn't mean that Coinbase's goal is to facilitate payments for the anonymous and safe purchase of WordPress features in authoritarian countries or to bypass a politically-motivated blockade against WikiLeaks. When that time comes, you better believe that Coinbase will have a lot to share. France becomes the latest as Prime Minister Jean-Marc Ayrault plans to erect new controls on cash transactions in order to tighten up tax collection and meet the country's optimistic budget deficit target of 3% of GDP. The government needs euros and they need some fast. In the government plan labeled "Fight against fraud," France's fiscal residents would see the cash transaction limit decrease from €3,000 to €1,000 per purchase. 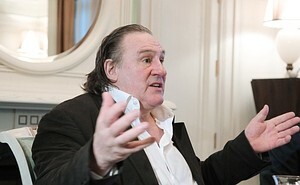 However, in a nod to the exiled wealthy and what Wolf Richter calls the "Depardieu exception," those fiscal residents of a country other than France would have their cash transaction limits reduced from €15,000 to €10,000 per purchase. Legislative measures could be finalized by the end of 2013. Richter illustrates the ban's impact with an example of purchasing a used car: "two crisp 500-euro bills and a single coin -- voilà, an illegal transaction." Used cars could easily cost more than €1,000 and accepting cash protects the seller, but the larger problem may be finding those 500-euro bills in the first place. While the southern coast of Spain was once believed to have the highest concentration of 500-euro notes in circulation, the distinctive purple bill has become more like the unicorn of Europe because they are rarely seen. The UK banned the sale of 500-euro notes at exchange offices in 2010. "It has long been the dream of collectivists and technocratic elites to eliminate the semi-unregulated cash economy and black markets in order to maximise taxation and to fully control markets," writes Patrick Henningsen at the Centre for Research on Globalization. "If the cashless society is ushered in, they will have near complete control over the lives of individual people." The anti-cashists have escalated this sad drama to a point where it has become like boiling a frog. The limits are incrementally lowered and lowered until one day, people wake up and realize that only fully traceable transactions are permitted in the new cashless society. In many regions around the world, a strong and vibrant cash economy is actually underpinning the faltering national economies that no longer offer sufficient mainstream opportunities for their citizens. By some estimates, the global off-the-grid economy represents $10 trillion worth of economic activity per year. People will produce, consume, and trade in order to survive and bearer cash plays a critical role in that process. The futuristic cashless society is marketed as being ultra-modern and at the forefront of technology. However, it is more like the last gasp of a dying behemoth and it is the poor that will suffer the most. In responding to Simon's Black's description of Emperor Diocletian's 3rd-century tax reforms in All Transactions To Be Conducted In The Presence Of A Tax Collector, a reader commented that "Tax evasion always increases along with the tax burden." He continued, "In fact, it acts as a safety-valve against rebellion. Since the rich will always have means to escape heavy taxation, the burden of bloated government bureaucracy will eventually fall the heaviest on those of lesser means." Is there anywhere left to go if you don't welcome the fully-traceable cashless society? Spain recently banned cash transactions above 2,500 euros and Italy banned cash transactions above 1,000 euros. France and other anti-cashist countries could quickly become nations of smurfs, referring to the practice of smurfing, which is a method of structuring cash transactions into smaller deposits of money to avoid cash reporting requirements. In one of the more memorable scenes from Michael Moore's Bowling for Columbine, the filmmaker walks into a rural bank in Michigan and promptly receives a free rifle for opening a new account. Moore quips, "Do you think it's a little dangerous handing out guns in a bank?" 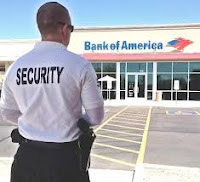 Bank of America thinks it's more than just a little dangerous – it reportedly wants to discourage some gun manufacturers from even having accounts at the bank. Largely neglected by the mainstream press, two particular firearms manufacturer cases represent an emerging political climate in U.S. banking. I am not accusing anyone in the media of "bias by omission" concerning the stories of McMillan Firearms Manufacturing and American Spirit Arms, but these are fairly recent episodes with considerable consequence. B of A justified freezing the deposits of 10-year customer American Spirit Arms for three weeks beginning Dec. 18 by saying that the deposits were held for "further review." Even though American Spirit Arms is a properly licensed firearms manufacturer which submits to regular audits by the Bureau of Alcohol, Tobacco, Firearms and Explosives and the Department of Homeland Security, Bank of America also said, "We believe you should not be selling guns and parts on the Internet." Happily, the Internet played a role in resolving the issue, as business owner Joseph Sirochman told anchorperson Megyn Kelly on Fox News' America Live. Another disturbing episode involved McMillan Firearms Manufacturing in April 2012. In expanding a routine "account analysis" meeting to include the larger political issue of overall business purpose, Bank of America directly suggested that the firearms manufacturer take its business elsewhere. Bank of America replied to the allegations here and McMillan responded again here. Beginning in a visible way with the 2011 full-scale banking and payments blockade against WikiLeaks, politically motivated acts by private financial institutions appear to be on the rise. Banks are beginning to use considerable discretion in deciding what constitutes an illegal act and sometimes even an immoral act. Freeze the funds first – ask questions later. After all, it's their bank, right? Yes, private companies can choose who they elect to do business with. However, it has a chilling effect when the directives come in a soft way from regulators or from a financially-supportive government. Historically, banks exercise discretion and that discretion can escalate into subtle differences in treatment. Such as when to file a suspicious activities report or when a customer's deposits and withdrawals start to look excessively high. Banks are increasingly in the role of enforcer and watchdog for the regulators. That is the basis of enforcement for many of the country's anti-money laundering laws and know-your-customer guidelines. The duty falls to the financial institutions and they are periodically reviewed as to their monitoring prowess. For the most part, banks do not have a choice in providing this quasi-enforcement role on behalf of the government, but it does set the stage for further encroachments into business and individual privacy. Although Sirochman eventually succeeded in getting most of his deposits released, he still proceeded to open new accounts at a different bank. Something clearly got bungled at Bank of America. No bank wants that kind of publicity. Either a few rogue regional managers acted on their own behalf or a policy directive from the corporate level was miscommunicated. This is a complex issue and typically wide latitude is given on how policy directives are implemented, including triggers for account freezes and their subsequent release. It is also nearly impossible to ascertain or confirm from where a subtle directive originates, which is probably why these stories weren't investigated further. How ironic it would be to have the North Country Bank and Trust from Moore's film acquired by Bank of America in the next wave of bank consolidations. Physical cash is on its way out and won't be missed, but even in an all-digital future the option of anonymous, untraceable consumer payments must remain, Executive Editor Marc Hochstein argues. Bitcoin and past digital cash schemes show it is technically feasible and that banks can play a role. But regulations and the industry's conservatism augur poorly for payment privacy, and a frank and open debate will be required. Will Banks Ever Be Digital Privacy 'Heroes'? Reuters is reporting that a European Union court has ruled against the EU banking sanctions imposed on one of Iran's largest banks, which extends to the payment sanctions imposed by Swift in March of last year. This represents the second such judgment against the banking sanctions and brings into question the legitimacy of using the Swift payments network as an economic weapon. On Tuesday, the EU's General Court ruled that, in the case of Bank Saderat, there was insufficient evidence demonstrating that the bank was involved in Iran's nuclear program. Last week, the court issued a similar ruling in the case of Bank Mellat, the largest private sector lender in Iran. Boycotted by the EU since July 2010 and blocked out of Swift since March 2012, the two banks had filed suit with the European court to challenge those sanctions. EU governments now have two months to appeal the recent decisions. 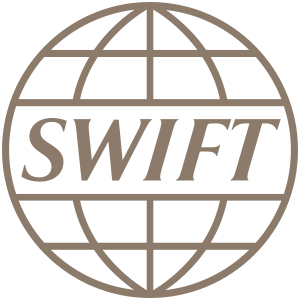 The Society for Worldwide Interbank Financial Telecommunication, or Swift, is a worldwide financial messaging network to facilitate the interbank transfer of funds. 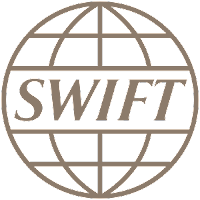 Speaking after a news conference in Dubai, Swift's chief executive Gottfried Leibbrandt indicated that talks are continuing with European regulators about the appropriateness of requiring Swift to impose sanctions on countries such as Iran. A global network for the transfer of funds loses some of its effectiveness once its neutrality becomes tarnished, because any member of the network could be similarly targeted without recourse. Leibbrandt said, "There is a dialogue going on around the trade-off between using us as a sanctions tool for other countries and impeding our role as really serving as a global infrastructure mechanism." He added that "there are lots of alternatives to Swift" and international transactions can still be executed by sending instructions via telephone or email, but such alternatives are "not as secure as Swift and [lack] the convenience factor." One such alternative is the gold bullion trade. Buyers of Iranian oil and gas must deposit payment in a local bank account and it cannot be transferred abroad. Iran sells natural gas to Turkey and receives payment in Turkish lira, which are then used to purchase gold bars in Turkey. Couriers using hand luggage carry the bullion to Dubai, where it is sold for foreign currency or shipped to Iran. Turkish Economy Minister Zafer Caglayan said, "We will continue to make our gold exports this year to whoever seeks them. We have no restrictions and are not bound by restrictions imposed by others." Turkey was granted a six-month U.S. waiver that exempted it from financial sanctions against Iran but the waiver is due to expire in July. Also in December, the U.S. Senate passed expanded sanctions on trade with Iran which included restricting trade in precious metals. Caglayan maintained that Turkey's state-owned Halkbank will continue its existing transactions with Iran but some other banks had pulled back in response to U.S. pressure since those private banks had activities in the U.S.
Also, Washington has warned Moscow on the implications for Russian banks and has sanctioned the parent company of Russia's Mir Business Bank, state-owned Bank Melli Iran, claiming that the Moscow-based bank has become a conduit for Iranian's seeking to keep trade flowing. "Only problem is Russians don't care what we think," according to Jim Rickards, author of Currency Wars: The Making of the Next Crisis. In the meantime, over 30 cases are still pending at the EU General Court, including cases filed by the Central Bank of Iran and the National Iranian Oil Company. With the recent announcement of the new Silent Text product arriving in Apple's App Store soon, the renewed scrutiny has also upped the pressure for the Silent Circle team to release its application source code. While some of the deployed protocols are in the public domain, the source code for particular applications have not been released yet making it difficult for security researchers to render an informed opinion on its implementation. In the security community, this is vitally important because publicly-available "open" source code with compilation instructions also allows for independent compiling of the code, reproducible steps to get an executable, and verification of hashes against the code that is being downloaded from the App Store. Of course, not everyone will perform this independent verification for every download but that isn't really necessary. As long as there is a reasonable level of awareness regarding the product, any deviation from original trusted source code will be noticed rapidly. Set to be approved by Apple on February 8th, the new encrypted data transfer app enables peer-to-peer encryption of any digital data -- text, images, audio, video, and even zipped data files -- all from a tablet or smartphone with a built-in burn feature. The release of the Silent Text Android version will follow next. This is revolutionary technology because of the consolidated approach to functionality across platforms but even more so because of its user-friendly implementation. Security and cryptography products can only be great if they are used and Silent Circle has gone to great lengths to ensure that the process is as transparent and hassle-free as possible. Chief Technical Officer Jon Callas says that, with their new S-Cloud Broker technology based on modified convergent encryption, Silent Circle side-steps a lot of traditional objections that people have to cloud systems, such as "the security and privacy of their valuable data." It permits Silent Circle to run their business while minimizing the risk to their end customers and, according to Callas, "this means that there are fewer objections to anyone who wants the advantages of a cloud service, but has business and regulatory concerns about their service provider." The encryption keys do not pass through the central servers and all cryptographic operations are performed on the client side. This is something that Cryptocat developer Nadim Kobeissi knows about intimately. His open-source encrypted peer-to-peer chat product went through rigorous challenges in the security community ultimately resulting in safer design choices. Kobeissi's current challenge for Silent Circle to release the full source code with proper documentation is emblematic of the community's attitude towards new security and encryption products in general. Consequently, many in the computer security field are reserving judgement about Silent Circle until the conditions in Kobeissi's challenge can be met. Despite the fact that Silent Circle submits their code for several third-party audits, releasing an app like this one prior to source code release is bound to raise some questions. The source code for the existing Silent Text version is here and the company tells me that the new Silent Text source code will be released sometime in March or April after confirming legal issues such as licenses for third-party libraries. If ever forced to comply with a U.S. law enforcement request, CEO Mike Janke implies that Silent Circle can move to a jurisdiction that won’t try to force them to participate in surveillance operations. However, the legal jurisdiction may not matter because if the source code is released and readily verifiable, the malicious participation of Silent Circle to surveil and host "bad" code for download would be effectively neutered. Short of crippling Apple's iOS and Google's Android, surveillance operations then would proceed to obtaining the keys in another fashion such as direct keylogging or contempt of court charges relating to key disclosure. Speaking at the Kaspersky Lab Security Analyst Summit in Puerto Rico yesterday, President and Co-Founder Phil Zimmermann emphasized that Silent Circle will never include law-enforcement access mechanisms for its products. "We really, really don't have the keys. This is for serious people in serious situations. I think probably it's not a good idea to trust crypto software if they don't publish the source code. It's not just [to look for] back doors, but what if they screw up and make a mistake? We're not going to build in any back doors in our service. I've spent my whole career on the principle of no back doors, so I'm not going to start now. One thing we won't do is cave in." For the moment, that's a lot more reassuring than the closed-source, proprietary free app from Wickr that doesn't even intend to release its application source code. In a blog post last week at Unqualified Reservations, the author described a fictitious account of how bitcoin dies because a "DOJ indictment is unsealed" naming any and all BTC exchange operators as criminal defendants and the "BTC/USD price falls to zero and remains there." While this U.S.-centric plot would seem more plausible in a cryptographic flaw scenario, it does bring to light some interesting game theory strategies for both regulators and free market monetary proponents. Aside from the impact on price, would a government ban on bitcoin, including a direct ban for law-abiding merchants, shrink the available size of the so-called bitcoin market? Is an officially "illegitimate" bitcoin a useless thing? 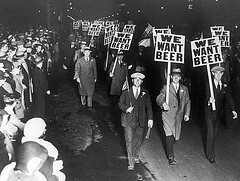 I maintain that a government ban on bitcoin would be about as effective as alcohol prohibition was in the 1920s. Government prohibition doesn't even do a good job of keeping drugs out of prisons. The demand for an item, in this case digital cash with user-defined levels of privacy, does not simply evaporate in the face of a jurisdictional ban. One could even make the case that it becomes stronger because an official recognition that Bitcoin is not only a "renegade" currency but a "so-effective-it-had-to-be-banned" currency would imbue the cryptographic money with larger than life qualities. The under-banked people of System D would awaken to using bitcoin for eliminating onerous fees or the risk of handling cash. The individuals seeking drugs without violence or prescriptions would understand the imperviousness of sites like the agorist Silk Road. The anti-banking crowd would race to get their hands on some bitcoin as a symbolic gesture to weaken bankers' firm grip on payments. The pro-gambling casino people would all of a sudden realize how play money bitcoin bypasses the ridiculous and religious anti-gambling laws. The asset protection wealth managers would start to become fascinated with esoteric things like deterministic brainwallets and Tor. Which brings us to the giddy, pro-banking-integration spokespeople for Bitcoin that tend towards full compliance because it's required or, worse, preemptive compliance because they believe it to be safe. What happens to their rosy world when bitcoin exchanges can no longer operate in the open without fear of State retaliation? After all, they were patiently counting on 'railroad tracks' and connected links with existing financial institutions to grant Bitcoin a legitimacy mandate. "In the end, bitcoin is a bet on the other side of The State’s coin; the free market side. It’s a bet that voluntary trade will, in the end, overcome neanderthalic force and coercion. It’s a wager that the conversation currently underway in the shadowy 'black' market is far more intriguing, far more complex, far more nuanced and exceedingly more interesting than the yip-yapping that distracts the undead, mainstream TV-consumer for an hour or so around feeding time every evening." I would add that it's also a bet on income and consumption privacy becoming the norm over 'reportable earnings' and invasive transaction tracking. It's a bet that career mobility and independent contractor businesses will eventually outstrip the growth of the corporate wage-slave population. It's a bet that the degree of an individual's financial privacy is selected solely by the individual and not by what the State reluctantly permits. Prohibiting bitcoin is the opposite of what a rational game theorist would conclude. But are our regulatory overlords smart enough to advocate a hands-off policy? If the State cannot plausibly ban bitcoin, why would they want to give it the additional power to grow and propagate? Bitcoin challenges the State as monetary sovereign and that has grave implications for their monetary authority and quasi-peaceful taxing authority. A savvy and smart regulator would seek to avoid the confrontation that "Old Bitcoin Radical" foresees. Their best response to Bitcoin is irrelevancy, or failing that, extreme gold-like market manipulation for as long as possible. The end game for the State is perpetuating the fiat myth -- their fiat myth not the populace's cryptographic Bitcoin myth. They have always known that faith in money is a mass illusion, however they never considered that they wouldn't be in charge of the illusion. In the meantime, just enjoy the spectacle and relax people for mining bitcoin, holding bitcoin, sending bitcoin, and receiving bitcoin is not against the law in any country in the world. 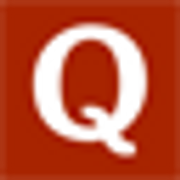 Ralph Musgrave made a blog post "Lawrence White Tries to Argue for Fractional Reserve Banking" where he criticises some of the arguments made by Lawrence White in testimony on his fractional-reserve banking. I tend to agree with many of the things Ralph wrote, but here I'll concentrate on one aspect where I disagree. The second thing is mentioned by White: "The other bank payment instrument, redeemable banknotes circulating in round denominations, simply cannot exist without fractional reserves. Banknotes are feasible for a fractional-reserve bank because the bank doesn’t need to assess storage fees to cover its costs. It can let the notes can circulate anonymously and at face value, unencumbered by fees, and cover its costs by interest income. An issuer of circulating 100% reserve notes would need to assess storage fees on someone, but would be unable to assess them on unknown note-holders. There are no known historical examples of circulating 100% reserve notes unencumbered by storage fees." Here the error of anti-FRBists becomes apparent. They do not realise that the instruments are goods separate from the original. They draw the boundaries of goods based on their own desires, not based on how these goods are treated by the market. The result of banking is a new good, that unifies lower transaction costs with credit expansion. Even if they don't like it, this is the economic fundamental of the banks' activities. Unlike the free banking branch of the Austrian school, I actually agree with the gold standard branch that credit expansion [EDIT: and I mean any credit expansion] leads to distortions, such as the business cycle. So I'm at odds with both of them, as I argue that FRB is economically detrimental, yet not a violation of property rights, but a consequence of market forces. I could just end here, leaving everyone baffled and annoyed. But this blog is called "Economics of Bitcoin". And here it comes in.